(April 2, 1942) -- Pvt. 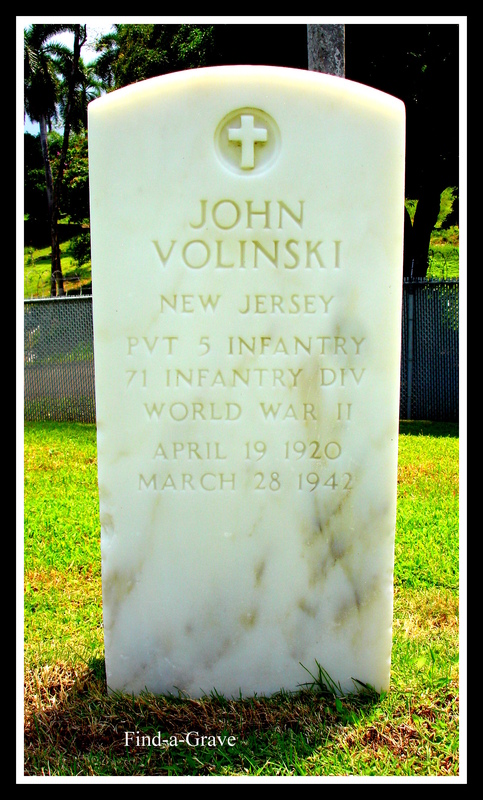 John Volinski, 21, died at Gorgas Hospital, Panama Canal Zone on March 28. Volinski, nicknamed "Windy" had been adopted by Mr. and Mrs. George Martin of 29 Ralph Street, Belleville, N.J. 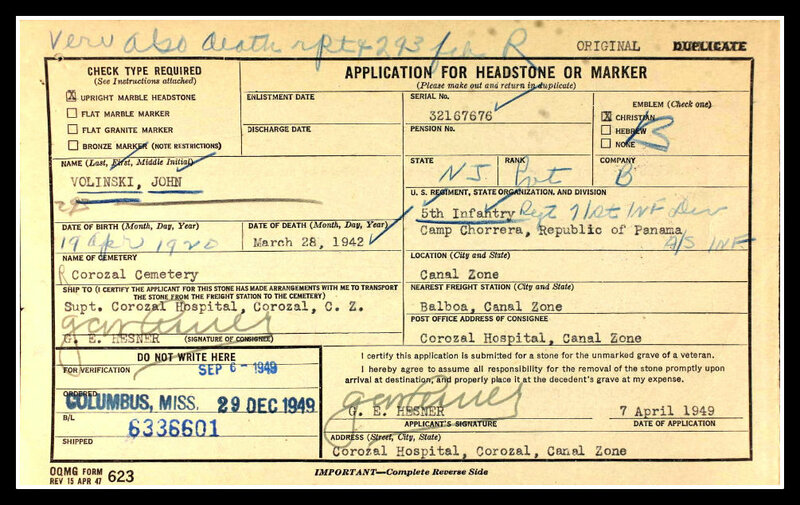 He enlisted in the Army on August 12, 1941.